Leslie Cofresi started to cry when he saw his staff the day after Hurricane Maria hit Puerto Rico. With no electricity or running water in their own homes, all 25 employees came to help clean up the bar, La Factoria, which was recently named one of the world's 50 best bars. Located in Old San Juan, La Factoria is also where the music video for the mega hit song "Despacito" was filmed. But nearly a month after Hurricane Maria, Puerto Rico's most famous bar is hanging on by a thread. It was closed for two weeks and crowds have been extremely thin since it recently reopened. If Cofresi, the co-owner, can't get electricity back on soon, he knows he can't keep all his employees or even convince them to stay on the island. "I don't know how far we can keep going like this...Our operations are not sustainable under these conditions here," says Cofresi, 35. "Educated people, young people: These are people that, their first reaction has to be, 'Well, I won't have a job.' They're leaving the island right now in droves." 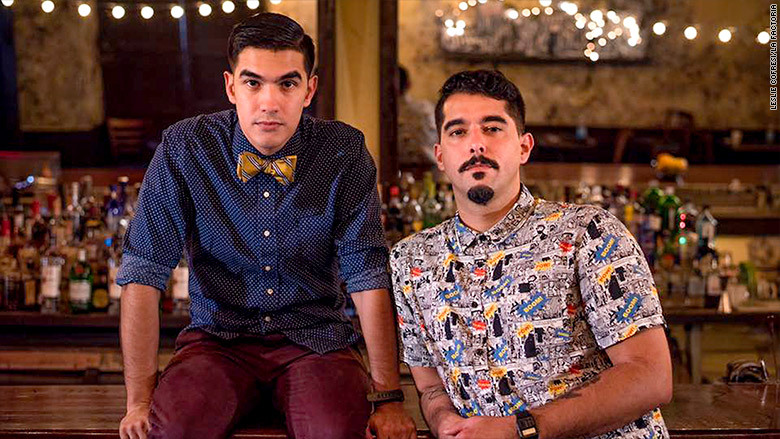 Roberto Berdecia and Leslie Cofresi, co-owners of La Factoria in Old San Juan, are operating without electricity. Related: Who owns Puerto Rico's mountain of debt? Cofresi highlights two factors that are crippling Puerto Rico's recovery: Many people are facing dim job prospects, and some are simply leaving the island. This for an island that, before Hurricane Maria hit, had a 10% unemployment rate -- more than double the national rate -- and was suffering from an ongoing exodus of young workers. Rising unemployment adds to Puerto Ricans' misery. Over 80% of the island still doesn't have electricity. About 40% of residents aren't getting a cell phone signal. 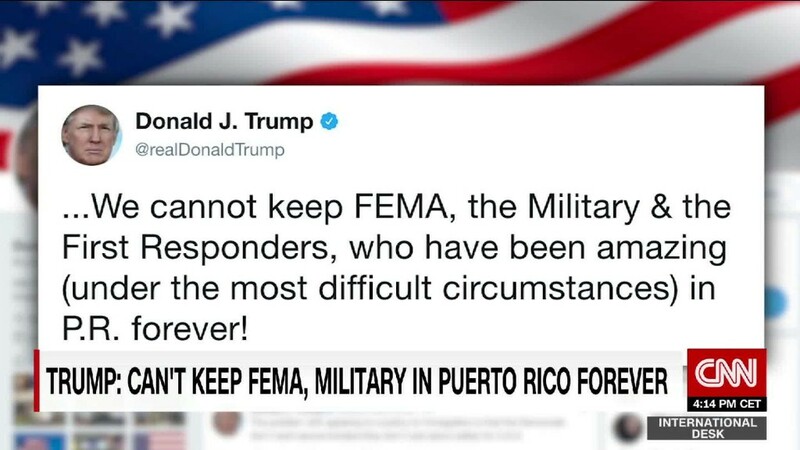 About a third of Puerto Ricans lack running water. And for some, losing their job felt like salt in the wound. Christopher Canales says he worked 13 years as a waiter at the Melia Hotel, one of Puerto Rico's most luxurious. But three weeks after Hurricane Maria hit, the Melia fired Canales and "most" of its 300 employees, a hotel spokesperson confirmed after CNNMoney obtained a letter sent to employees. Canales suddenly had no job along with no electricity or running water. He and two of his four kids -- ages 4 and 14 -- went to Atlanta to stay with his brother-in-law. His other two children, teenagers, stayed with their mother in Puerto Rico. He registered his youngest kids in Atlanta schools, but he suspects they may be moving to Florida at some point during the school year to reunite the entire family. A return home isn't in the cards. "Right now, I can't say that I'm going back," says Canales, 37. "If you don't have a job in Puerto Rico, the situation is really hard." Melia International, the luxury hotel's parent company, which had 375 hotels and $3.3 billion in revenue last year, said it had no choice but to let go its employees in Puerto Rico. A spokesperson said the property was destroyed by Hurricane Maria. The company hopes to rehire its former workers if they can reopen in the next six months. But that depends greatly on when the hotel gets electricity back. "We are aware and very concerned about how this situation has personally affected our staff," a Melia spokesperson wrote in an email, adding that it says it's not the only hotel laying off workers. Aixa Montes, a waitress at the Melia hotel restaurant for 10 years, still has no electricity in her home in Luquillo, a 40-minute drive from the capital, San Juan. And now she has no job. Montes is one of many workers waiting on lone lines to receive jobless benefits. "The lines are enormous in the unemployment insurance office. It's horrible," says Montes, 37. It's hard to get reliable statistics on the problem because the continuing dysfunction on the island is affecting data collection. Cofresi, the owner of La Factoria, says he hasn't fired any workers at his bar. He considers them like family. But everyone's hours have been cut back. La Factoria is operating on a generator, and Cofresi is frustrated that FEMA and the Puerto Rican government haven't given him any idea when he can expect power to come back. He worries that electricity will come back slowly, building by building. He's concerned that would create unfair competition. "It's going to be this thing where your life's work is going to be up to luck," says Cofresi. "If you get electricity first, you'll survive. If you have to hold on three, four months without electricity while some other businesses next door has electricity ... you're not going to survive." Some customers are coming back for La Factoria's signature drink: a lavender mule, a twist on the traditional Moscow mule. Other bar regulars come to reconnect with friends and clear their minds, Cofresi says. Some just need to charge their cell phones so they can communicate with family. "We have to start giving people a sense of normality," Cofresi says.